The Arlington County Board today paved the way for a new pedestrian bridge to be built that will span Wilson Boulevard and connect the redeveloped Ballston Quarter to an existing pathway that leads to the Ballston Metrorail station. 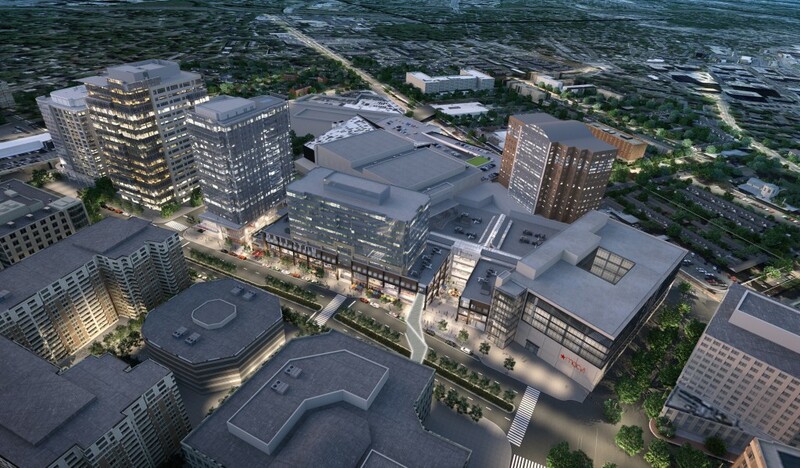 The Board voted 5 to 0 to approve a site plan amendment and an encroachment over Wilson Boulevard to allow for the new pedestrian bridge, which will connect the redeveloped Ballston Quarter to the Ballston Metrorail station via Wilson Boulevard. Before the Board’s action, the County Manager presented the new bridge concept, as designed by the bridge architect StudioTECHNE. View the bridge design presentation on the County website. Scroll down to the County Manager’s Report on the Agenda for the Tuesday, September 27 Recessed Meeting. 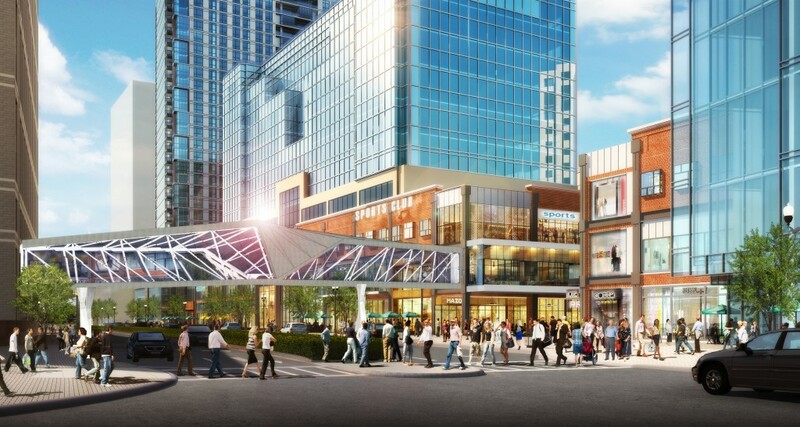 Demolition of the existing pedestrian bridge will make way for a public plaza that is a key community benefit of the Ballston Quarter redevelopment. Once the existing pedestrian bridge is removed, the mall façade that fronts on Wilson Boulevard will be transformed and the existing entrance to the mall will be eliminated. A 3,386 sq. ft. public plaza will be created at street level on Wilson Boulevard with steps and seating areas leading into another 2,500 sq. ft. of sunken, public plaza space with outdoor restaurant seating and event space. 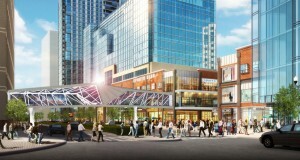 Forest City Enterprises, developer of Ballston Quarter, will construct the new bridge with funding provided through the partnership between the County and Forest City. The reconstructed bridge will have public access easements that do not exist today, and it will be more functional and aesthetically pleasing than the current bridge. The existing bridge is expected to be closed in October of this year. The new bridge will open with the completion of the Ballston Quarter project in spring/summer 2018.The County and developer will provide updates as needed on re-routing pedestrians between the Ballston Metro station and existing Ballston Common parking garage. The design for the new pedestrian bridge is the result of an extensive and collaborative community review process, as directed by the County Board in its approval of the Ballston Quarter site plan in November 2015. The community process included work by a County Manager appointed Technical Advisory Committee, comprised of community representatives, property owner stakeholders, and outside design experts. The technical committee helped select the bridge architect, StudioTECHNE, and helped refine the design over six working meetings. The public review process also included two public meetings, which helped set the broad community principles and goals for the project, an online survey, and review by the Public Art Committee (PAC) of the Arlington County Commission for the Arts. An architecturally memorable design that blends function and artistic expression and creates an iconic civic presence in the heart of Ballston. Under the agreement between the County and Forest City, costs for building the bridge are not to exceed $4.09 million. A mix of County and Community Development Authority bonds will provide the funding. Any cost overruns will be the responsibility of the developer, Forest City. Learn more about the Ballston Quarter public-private partnership.